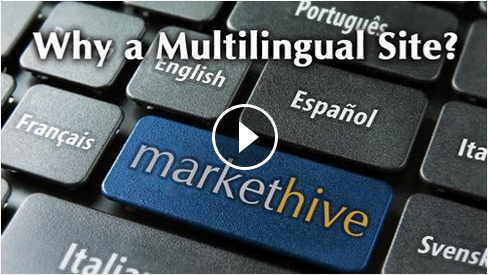 The multilingual website will continue to become a necessity for businesses and organizations as the process of internationalization unfolds. Business continually sees shifts and changes. At present the multilingual website is still in its early stages, with mostly large multinational companies using them to secure an international foothold. However, the trickle-down effect will naturally occur and the multilingual website will become part and parcel of an internet presence. Whether people chose to invest now or later is the only choice they have. This is true. The world has become smaller and large numbers of customers exist in non-English speaking countries. Very necessary indeed. In Canada we need French in a lot of the country and Mandarin on the west coast. Informative article. I enjoyed the reading! ?? ??? ?. ??? ??? ????????????? ??????????? ????? ???????? ????? ??? ?? ??????????? ???????? ?? ??? ????? ?? ??????? ?? ??????? ????????. ? ??? "?????????" ??? ????? ???????? ?????? ????????. ??? ??????? ???? ????? ?????? ???? ????? ?? ????? ???????. ??????? ?? ???? ?????????? ?????????????? ??????????? ?????, ? ???? ?? ??????????. ??? ????? ????? ???? ????? ??? ???? ?????? ???????. ???? ???????? ???! Well. God in the construction of the tower of Babel divided the people giving them the opportunity to speak the language in which they are more comfortable to communicate. And this is" right " as Mikhail Gorbachev liked to say. If desired, people can understand each other in any adverb. the main thing is not to engage in the construction of the tower of Babel, and God does not irritate. Especially when there is Jesus as your personal Lord. Good day everyone!